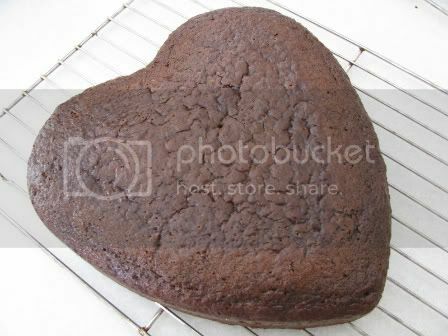 Every time I bake a cake for my husband, something goes wrong. It's become a running joke: since before we were married, we've been saying, "It might not look good, but it tastes good!" 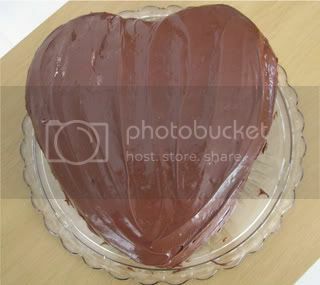 So today I was baking a heart-shaped cake for Valentine's Day weekend. I couldn't find the third cooling rack, so I had to turn the cake out onto my hand, then flip it onto the rack. The first layer turned out well! Then, as I was taking the second layer out of the pan, I got distracted. I caught the edge of the cake on my finger just as I was turning the cake onto the cooling rack. Now I get to practice my "repair it with frosting" skills, which should be (but aren't) very good by now! If the cake doesn't look bad when it's finished, I'll post another picture. Thanks for your encouraging comments this afternoon! Your post title made me chuckle. I better it looks good when you're done. 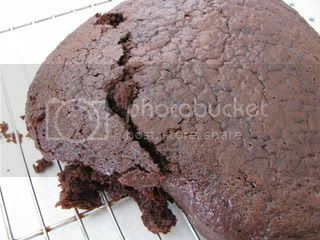 Put the broken cake on the bottom layer and frost and nobody will ever know (well, anybody who does not read your blog will not know:D). The cake looks great Melissa. Don't you just love it when a plan comes together! You're so good! If that happened here I would get frustrated and I would toss it. Love it! Nice save! 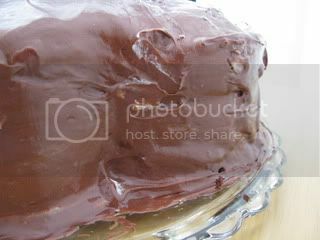 I decorate cakes so I have a suggestion (which you may or may not already know, but here goes).. after assembling the layers, ice with a thin coat of icing as a crumb coat, then chill til icing has firmed up and crusted. Using a viva paper towel, smooth the frosting with your hand (lay towel over a section and smooth icing with a light but firm touch using the flat of your hand). Repeat for all sections. Chill again and then do a second coat of buttercream to finish. HTH. I have baking moments like that too. It turned out so well. I doubt anyone would have been able to tell that you had broken one layer. I think it looks great and I am sure your husband will enjoy it. Yum! That cake looks fabulous!